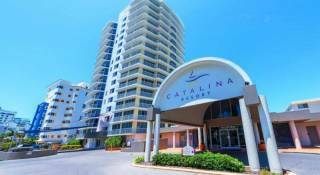 Fully self contained air conditioned 1 Bedroom Apartment located on the pool level with patio overlooking pool. Own laundry, cable TV, DVD Player walking distance to local shops and cafes. Fully self contained air conditioned 1 Bedroom Apartment with private balcony facing North East overlooking Park. Own laundry, cable TV, DVD Player walking distance to local shops and cafes. 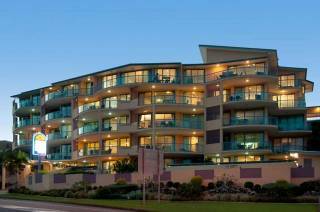 Fully self contained air conditioned 1 Bedroom Apartment with private balcony facing North East overlooking Maroochy River. Own laundry, cable TV, DVD Player walking distance to local shops and cafes. Fully self contained air conditioned 2 Bedroom Apartment located on the 4th level with private balcony with both Ocean and River Views. Own laundry, cable TV, DVD Player walking distance to local shops and cafes. Fully self contained air conditioned 3 Bedroom Apartment located on the 4th level with private balcony with both Ocean and River Views. Own laundry, cable TV, DVD Player walking distance to local shops and cafes. 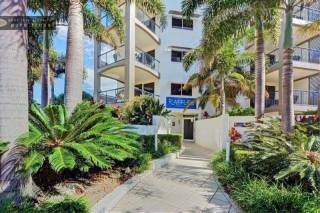 Our holiday apartments are situated at Cotton Tree only 300 metres from one of the Sunshine Coast’s best beaches and surf clubs and opposite the beautiful Maroochy River – great surfing, great fishing, great boating and great swimming! Our fully self-contained apartments are spacious and tastefully decorated and provide comfortable and relaxing accommodation for you to enjoy. Our facilities are some of the best on the Sunshine Coast with tropical gardens complimenting a beautiful pool and BBQ area. A perfect place to relax and enjoy the sun. 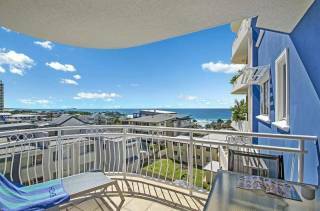 We invite you to take a look around our web site, and look forward to you staying at Argyle On The Park at Cotton Tree on Queensland’s beautiful Sunshine Coast. Our one bedroom apartments are specially suited to couples and most provide a separate bedroom, bathroom and laundry, a fully equipped kitchen with microwave and dishwasher. The lounge/dining room opens on to a north east facing balcony or outdoor area, ideal for a relaxing breakfast. Our two and three bedroom units are perfect for families and provide family sized facilities, some with magnificent ocean and river views. Tour Underwater World Sealife to see thousands of the worlds amazing creatures – explore 16 themed zones and soak up the amazing view from the sea bed in the 80 metre ocean tunnel. See Australia’s largest collection of jellyfish. Historical Eumundi Markets where you will see quirky, classy, innovative and unusual merchandise. The Ginger Factory at Yandina – ride the ginger train, go “Overboard” on a musical voyage around the world. Hop on board “Moreton” the much loved historic cane train. Visit the Nutworks across the road and sample the different flavours. For the more adventurous visit Aussie World - ride the Giant Redback or the Giant Slide. Over 30 rides and games suitable for all ages. From thrilling to spinning, to splashing and twirling – There’s something for everyone. Play 18 holes of mini golf at Top Shots Fun Park- drive the Blaster Boats, climb the indoor rock wall, bounce the 7 metre high vertical extreme trampoline or play the classic video games arcade. A deposit of $170.00 is required on all 1 bedroom bookings, $260.00 on all 2 bedroom bookings and $280.00 on all 3 bedroom bookings. Higher deposits will be required for mid and high season. Balance to be paid on arrival. A security deposit will be required at check in, either by credit card or cash, to guarantee payment of any incidentals. All cancelled bookings attract an administration and cancellation fee. Bookings for high and mid season will forfeit the deposit unless cancelled four weeks before arrival date and low season bookings will forfeit the deposit unless cancelled two weeks before arrival date. 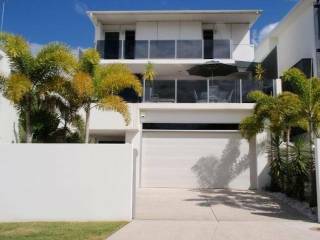 Enjoy the beach and surf club, the river for fishing and boating, bowling and tennis clubs, the exciting Big Top and Sunshine Plaza shopping centres and the casual Cotton Tree Sunday Markets. Argyle On The Park is centrally located on the Sunshine Coast, only 10 minutes drive from Maroochydore airport, or a little over an hour by car from Brisbane airport.